I got my copy of your book today, so I know what I’ll be doing over the holiday weekend! Happy Holidays!! P.S. 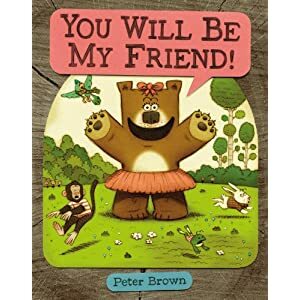 “You will be my friend” would work with me. Thanks Jean… I hope you love it! Happy holidays to you, too. You WILL be my friend! I’m halfway through the book and before I even started it I sent a copy to my (former) work bestie who was my ‘call to say hi/hey, let’s grab dinner in 30 minutes’ local friend. She is newly married and trying to settle into in her second city. Going on three years into my own second city experience I can relate to your book so much and am feeling inspired to follow up and try and get a friend date scheduled with the cool girl I met a few weeks back at a holiday party! Wish me luck! My sister gave me your WONDERFUL book for Christmas (I asked for it) and I am delighted to read about your adventures with her! I had to coax her into telling me which “friend” she was!! Such a wonderful read, I cannot put it down! Keep up the fabulous writing. PS; Enjoy your dinner on Wednesday! Thanks Jamie! Your sis is pretty great, I must say. So glad you are enjoying the book! Happy holidays! Now I’m curious 🙂 Which one was your sister? Rachel, I’ve finished!!!! It was FABULOUS – so inspiring and I’m ready to friend-date! Interestingly enough, since I’ve started talking/ blogging about this stuff, I’ve found my blog friends (that I’ve since met) have started saying nice things like “I’m so glad we’re friends”. Thanks, Margot, so much for reading! I so appreciate it and am thrilled you liked it!